The journey of two Vietnamese-born wildlife photographers is on display in Hà Nội at an August 4-7 exhibition titled Wings of the Wild. 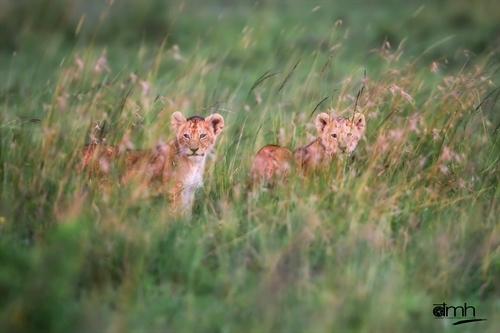 Through the photos, they call for wildlife protection and respect. The wildlife photographs pulse with life. Time stands still on the outstretched wings of birds. Every image bears a message about environmental impact and nature conservation. 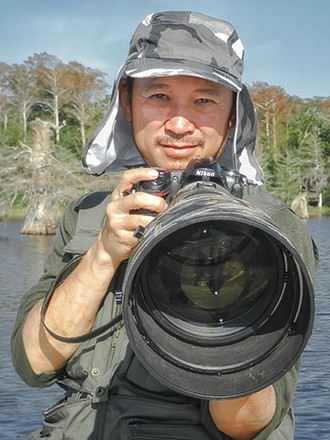 Vietnamese-born photographers Andy Nguyễn and Đặng Mỹ Hạnh, both based in the US now, have spent dozens of years pursuing wildlife photography. 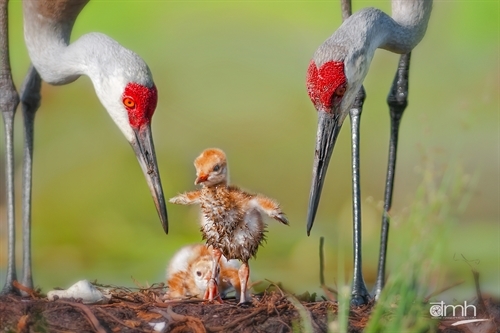 Both photographers have received many prestigious international photography awards from BBC Wildlife, PSA (Photographic Society of America), FIAP and NANPA (North American Nature Photography Association). Now they are returning to Việt Nam to share the fruits of their labours. Their wildlife photography is on display in Hà Nội at an August 4-7 exhibition titled Wings of the Wild. They will also lead wildlife photography workshops to share their experiences with domestic photographers. Both photographers are also using their Việt Nam journey to explore local wildlife and nature with their cameras. They dream of introducing Vietnamese wildlife in exhibitions worldwide. “You don’t have to be a nature lover or even an animal lover to appreciate wildlife photos,” said Andy. Andy is proud to be the only Vietnamese photographer ever honoured as Wildlife Photographer of the Year (2009). Friends and fans call him Bird Whisperer, Raptors’ Shooter and Professor "Wing". Examining the photos in the new exhibit, audiences may wonder how Andy approaches birds so closely to photograph their curious eyes, snap a bird catching fish and capture birds feeding their hungry babies. Andy uses modern equipment like telephoto lenses because when people approach wildlife too closely, animals get scared. But he says knowledge of ornithology and the natural world is essential to create good nature photographs. 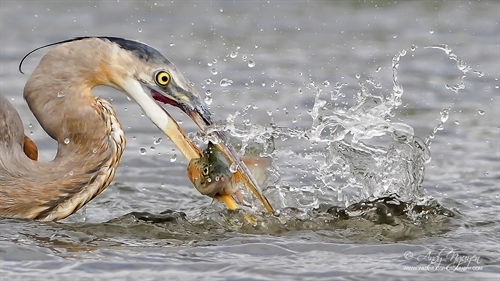 “Unpredictability in wildlife photography is one of the ingredients that makes it so challenging and so rewarding when you’re able to ‘nail the shot’." Andy takes wildlife photos but doesn’t disturb the animals’ world. He follows animals silently to photograph their lives. If he’s photographing an osprey, for example, he follows it and is ready to shoot when the osprey launches into action. In the wild there are many lakes and rivers - some covering huge areas - so seeing an osprey in action is always special. But seeing them work their magic within your lens’ focal range is just amazing. “We expect viewers to be able to distinguish between wild and semi-wild photos, so they tend to appreciate the works of art much more,” said Andy. Another time, Andy checked on a scissor-tailed flycatcher’s nest and found three newly hatched babies. He stayed far enough away so as not to alarm the parents, but it was very hard to find an opening in the busy network of branches and leaves. He kept changing positions, since the adult birds kept coming back from different directions and perched at different spots on the nest. Each time they left, they would be away for about 15-20 minutes looking for food. Although he has photographed scissor-tailed flycatchers flying and hunting before, this was the first time he ever saw them nesting on top of a big tree. The fruit of this experience is a photograph of the adults feeding three little screaming hungry mouths. When not in the field among the birds and wildlife, he can usually be found at an airport realising a life-long passion: watching aircraft fly and photographing them. 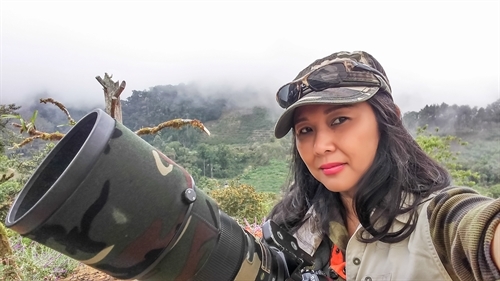 Đặng Mỹ Hạnh is the only female Vietnamese-born wildlife photographer in the world. She is armed with in-depth knowledge of birdlife and is a noted writer on the theme of wildlife. Hạnh is noted for being “razor-sharp” and “exquisite” in the photographic and Vietnamese literary arts. Dangers always lie in wait for a wildlife photographer, Hạnh said. A photographer may risk her life to capture a beautiful moment. “I have experienced being at death’s door many times during 15 years of photographing wildlife,” she said. Hạnh waits for long stretches of time to capture a photograph. Sometimes she waits a whole day. Once, she followed a couple of sandhill cranes in breeding season. Sandhill cranes often build their nests at a fluvial bog which houses many crocodiles. She spent five weeks sinking in marsh from the dawn till dusk to capture the best shots. Once she forgot her surroundings completely while she was holding the camera and looking into the lens. Suddenly she turned her head and found a big crocodile with an open mouth nearby. Andy once camped in an African forest and listened to lions tear their bait at night. He said wild animals won’t attack if humans don’t arouse their animal instincts. Hạnh agreed. To be a wildlife photographer, you need more than modern and professional equipment like telephoto lenses. You also need to equip yourself with survival skills and wildlife knowledge.